While you do have to take them off of your shoulders almost every time you need to get something, backpack diaper bags are certainly gaining more and more popularity. Unless you are carrying a really light diaper bag, which is almost impossible when you have to carry so many things, a backpack version might be just the right one for you. 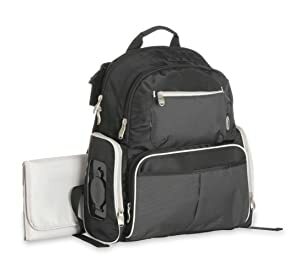 Aside from the fact that backpack diaper bags generally offer more room to hold a number of things in different shapes and sizes, they are also good for you in the long run. Since it is draped on your back, the entire weight of the bag is evenly spread across your back as opposed to a sling type where the weight is focused on a certain part. Other than the benefits for your back, a backpack will allow you to do more things with the use of both hands. It makes pushing the stroller and doing grocery much easier when you have your bag slung across your back. Backpack Diaper Bags come in different sizes and shapes. It is important to take note of several features before buying one for yourself. 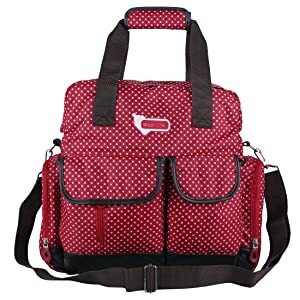 There is a great point in making sure you have the most comfortable, functional, and stylish backpack diaper bag that you can possibly afford. Convenience and functionality are keywords when considering a backpack diaper bag. The right location of pockets is a good start when taking both into account. To make it easier for yourself, look for large pockets that are as near to your back as possible. Another thing to look for when it comes to location is a baby wipe pocket. The last thing you want to do is to fully unzip your bag to look for a baby wipe. Baby wipes pockets should provide quick access for your baby can let go at any given time. Again, convenience and functionality are best served when you have as many pockets as you possibly can in your backpack diaper bag. Ideally, the pockets should also come in different sizes for better fit. You can also organize your things when you have a good number of pockets in different sizes. Once you have figured out which thing is usually placed in what pocket, then you can easily find your baby’s things even with your eyes closed. The straps have to be as comfortable as possible, especially when you use the backpack for a long time. It also helps if the straps are slightly wider compared to the sling-type as this would also greatly help in your comfort. 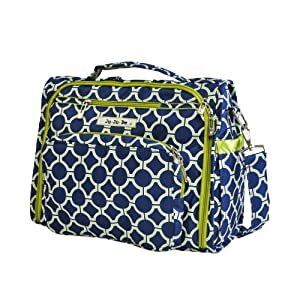 From a company that is known for baby strollers, comes a diaper bag that is as functional as you can get. Graco’s version features a strap that is more than sufficiently padded with good width. You should have no problems as far as lugging this around goes. The organization is also top notch as there are a variety of compartments inside with differing sizes. More importantly, this is quite durable and can be stuffed full with baby things for a long time without showing any wear. One of the most versatile options on the market as far as carrying goes is this backpack diaper bag. You can seamlessly switch from the standard backpack look to sling-type or to a single hand style. Whatever suits you best is provided by this version. The one feature that parents with twins or a couple of kids will love is the more than sufficient room inside. Aside from the roomy interior, there are also numerous storage areas for better organization, ease of access, and convenience. Carrying this around should pose no problem, due to the very well-padded straps. The best part of all is its affordability despite its great looks and functionality. This is one of the higher-priced options available and you certainly get your money’s worth with this backpack diaper bag. Ju-Ju-Be, the manufacturers, placed great emphasis on the hygienic qualities of this diaper bag as this has antimicrobial properties. You can be sure that your backpack is odorless and without the risks posed by bacteria. As expected, this backpack offers the usual features, albeit with much better craftsmanship than the previous models. It has sufficient compartments with different sizes, while the straps are incredibly well-padded and adjustable. The straps can also be adjusted to give way to a sling-type of carrying. What you may not find in other diaper bags are the metal stands underneath the bag that raise the it from the ground. It does help in keeping the bag as clean as possible. If the men must do their part in raising the baby, they might as well feel comfortable enough doing it. If you know men, they would rather face a firing squad than take the baby out with a diaper bag featuring huge floral prints. 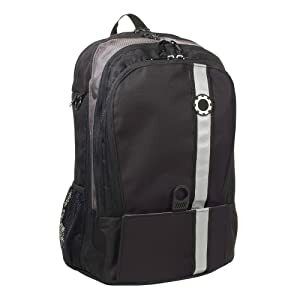 The Manly Backpack Diaper Bag will not compromise their sense of manliness while it provides the kind of quality and features that the women prefer. It is a win-win situation for everybody. Does the manly backpack bag have a single shoulder strap to carry the bag? What are the exact deminsions?